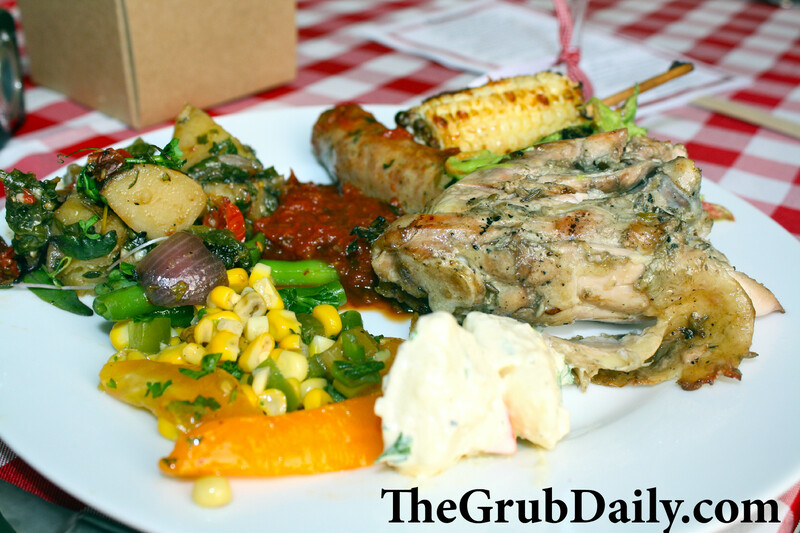 Eating out at a restaurant is often an experience that is driven and dominated by the desire to socialize. People go out for a meal to spend time with the ones that they love, and the food serves as the unifying element that brings them all together. 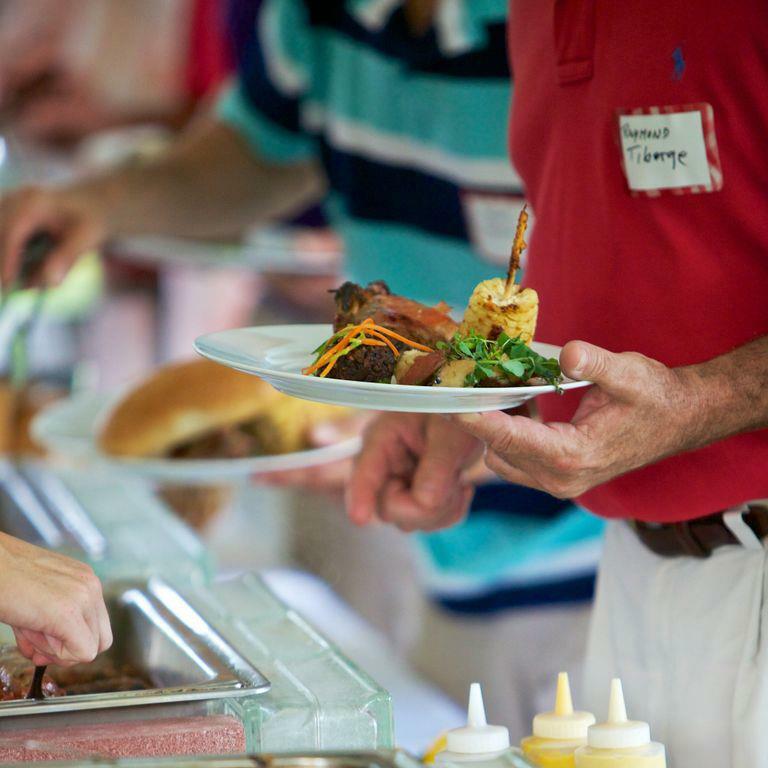 Sometimes the food is very well prepared and someone will comment on its palatability, and other times, the food is just present as a mere necessity for sustaining life and a backdrop for the conversation. What I am trying to say is that very rarely do people make an emotional connection with their food when they dine out. After all, they are not involved in the direct preparation of their food, nor do they often get the opportunity to watch as chefs transform raw ingredients into the entrée of their choice. The food arrives at the table, they eat, and go home. 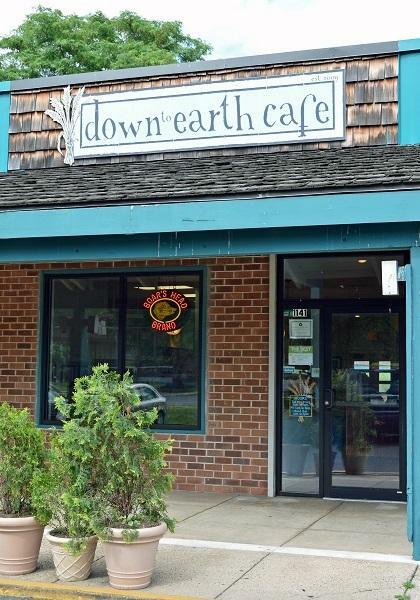 The Down to Earth Café in Perkasie Pa offers a different kind of dining experience though—one that is atypical of the norm. In all facets of the restaurant, there is a permeating sense of community; a genuine connection established between every person, object, and meal that one comes in contact with. The servers feel familiar and their smiles seem genuine, as if they would rather be nowhere else in the world. The kitchen is partially within the customer’s view so that patrons can watch as their food is being prepared, and see who is responsible for crafting their meal. The food itself is sourced locally and organically—whenever feasible—and the menu showcases how simple high-quality ingredients can come together to create something delicious. I went for brunch this weekend and had very few expectations for this little café tucked away in a rather non-descript and rundown strip mall. But from the moment that I walked in, I knew I was in for a good meal! 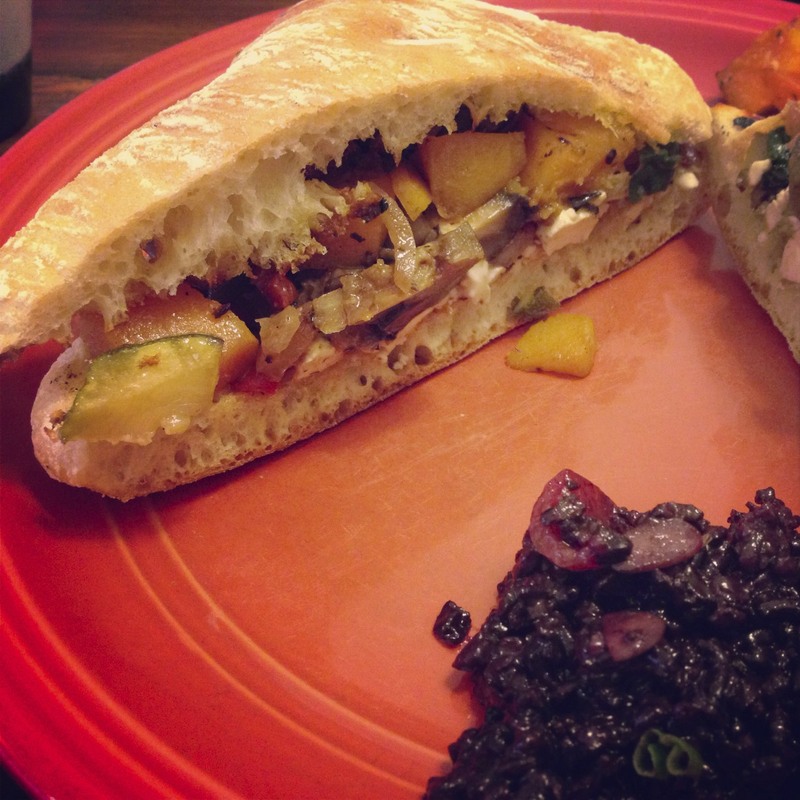 I ordered the Anti-Salerno Sandwich with grilled eggplant, zucchini, asparagus, onions, mushrooms, and roasted red peppers, topped with melted goat cheese on a fresh ciabatta roll ($8.95). I added a drizzle of balsamic vinegar and it was delightful! The veggies were chopped up nice and small so that each bite was clean, and the side of balsamic and grape quinoa salad was super tasty. I wish there had been a bit more than the level tablespoon that was dolloped on the plate, but it was excellent. 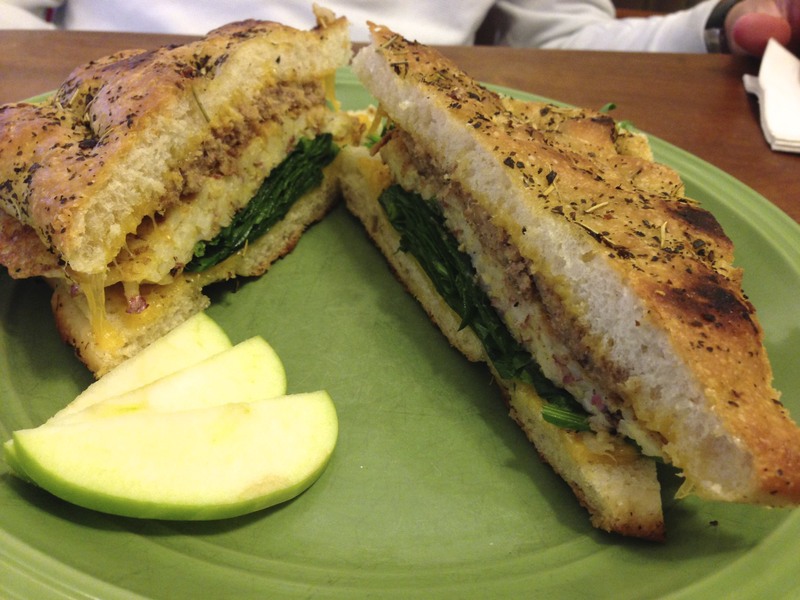 My boyfriend ordered the Farmer’s Panini Special with scrambled eggs, Blooming Glen scrapple, cheddar cheese, and baby spinach ($9.95). I am not one that cares for scrapple, so I did not sample his dish, but he said that it was hearty and delicious. To drink, I sampled one of the new Sipp organic sodas that they offered in the Mojo berry flavor with blackberry juice, mint, lime, and a touch of agave nectar. It was very refreshing and much less syrupy than a typical soda. Dare I say a healthy soda? 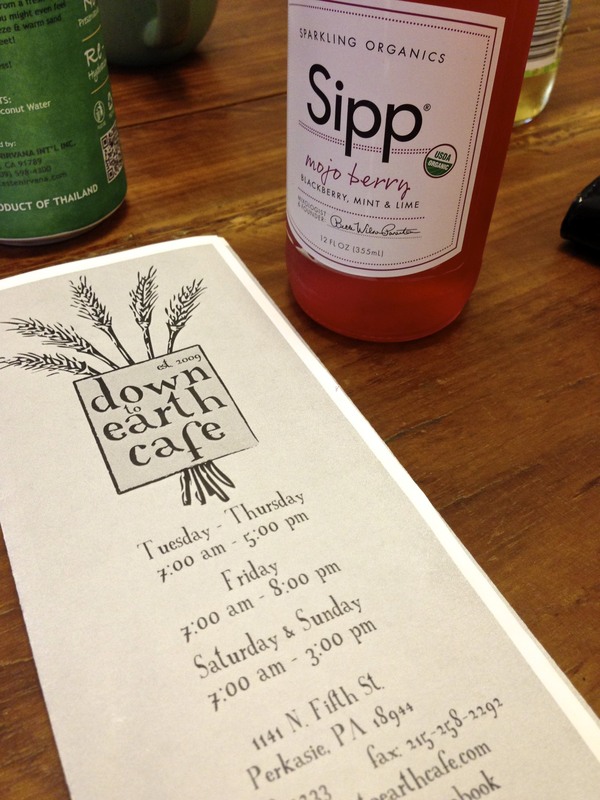 All in all, I cannot wait to go back and try some of the other fabulous meals offered at the Down to Earth Café…in particular the smoothies, which looked incredible! 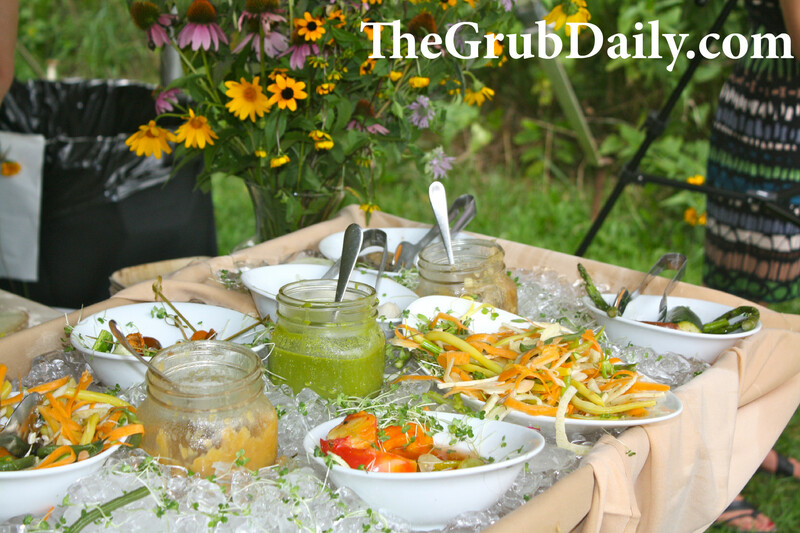 Farm-to-Table: where locavores dine al fresco! When I was in college–living on a what All-State refers to as “a Ramen-noodle every night kind of budget”™ –I chose my groceries based on one single factor: PRICE! Didn’t matter if the food was organic, Kosher, local, hormone-free, cage-free, genetically modified, partially hydrogenated, or even artificially colored. If it was cheap, I was eating it. And if I had been smart enough to buy stock in Taco Bell as a Freshman, I would probably be able to pay off my student loans right now! But, I wasn’t quite so lucky and so I am paying for my prestigious English Literature degree by working as a restaurant manager. And guess what…..
Sure, my extensive knowledge of Jane Eyre and my ability to recite The Canterbury Tales–in Olde English no less–does not work its way into my job description. But as a restaurant manager, I get to be around food ALL DAY! And for a hard-core foodie like myself, that is the best work environment I could ever ask for. Since I began working at Jules Thin Crust (my hire date may or may not correspond to date of my last blog post), I have completely changed my perspective on food; in the sense that I now care where it comes from and what has been done to it. No more unhealthy additives, no more artificial colors, no more hormones, no more pesticides. My days late nights at the Taco Bell drive-thru are long over! I have joined the ‘locavore’ movement, and I am proud to say that the restaurant I work for was the driving force of that decision. 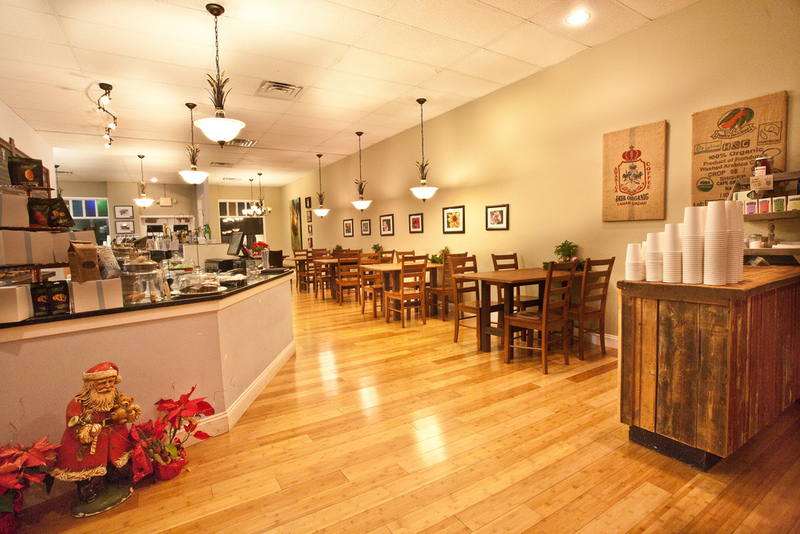 Located in the farm-abundant area of Bucks County, Jules Thin Crust does everything within its power to source its ingredients from local farmers and markets. At first, I couldn’t see the value in buying things at higher price just because they were locally grown. In fact, the produce we were receiving was a lot smaller than what I could find at the grocery store, and having been raised in a society where bigger often translates as better, I was confused by the idea of paying more for less. But when it came to the taste of the product, the quality was unparalleled. Organic and local produce may not appear better from a visual perspective, but one bite of an organic heirloom tomato from Barefoot Gardens or the fresh taste of organic basil from Swallow Hill Farms, and you realize the added value that organic produce offers. Then once I had the opportunity to meet with some of the local farmers, and see how passionate they were about their product and how grateful were to the individuals/local businesses that supported them, I knew that I would never again hesitate to spend the extra dollar on local food. Of course, I’m not taking this to the extreme and only eating things produced within a certain radius of my house (I love Chipotle too much), but I am definitely making a more conscious effort to spend less time in the supermarket and more time in the farmer’s market. 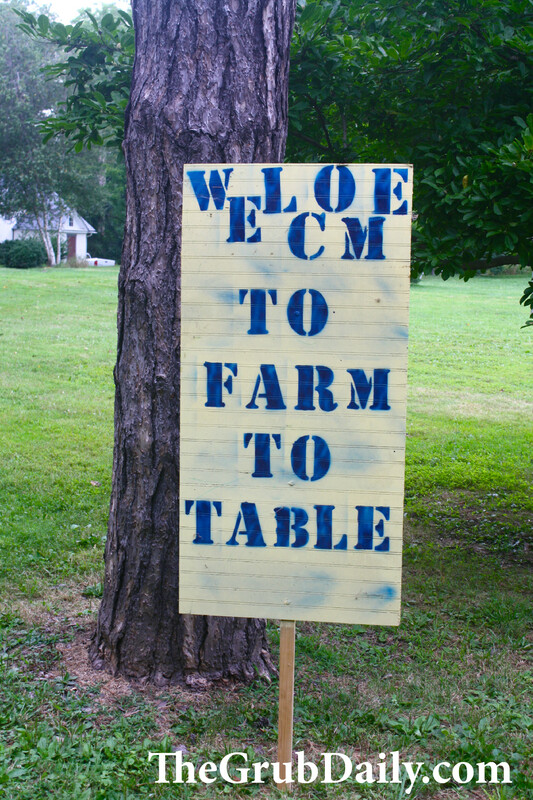 I am also trying to eat at more restaurants that serve locally produced foods. 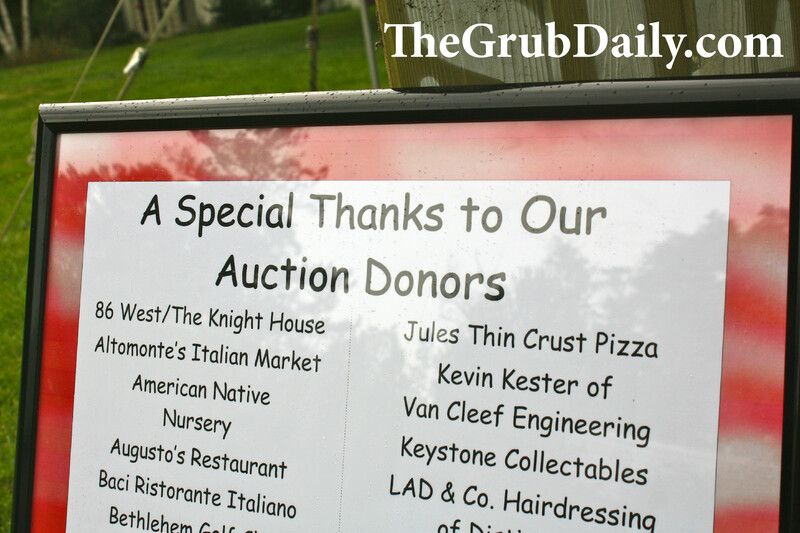 Some of my favorites include Earl’s Bucks County in Lahaska, Hamilton’s Grill Room in Lambertville, and last but not least, Jules Thin Crust!! 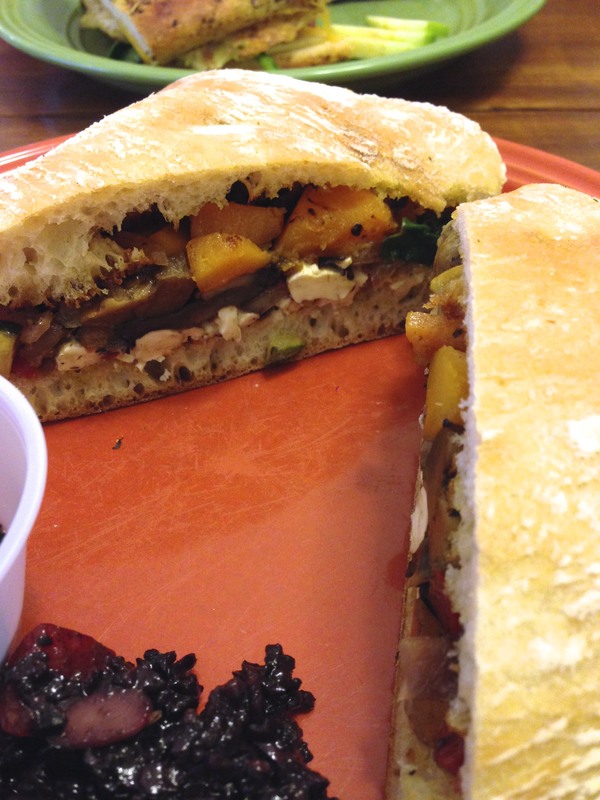 (For more information on restaurants that source local, see this great article by Bucks County Taste). 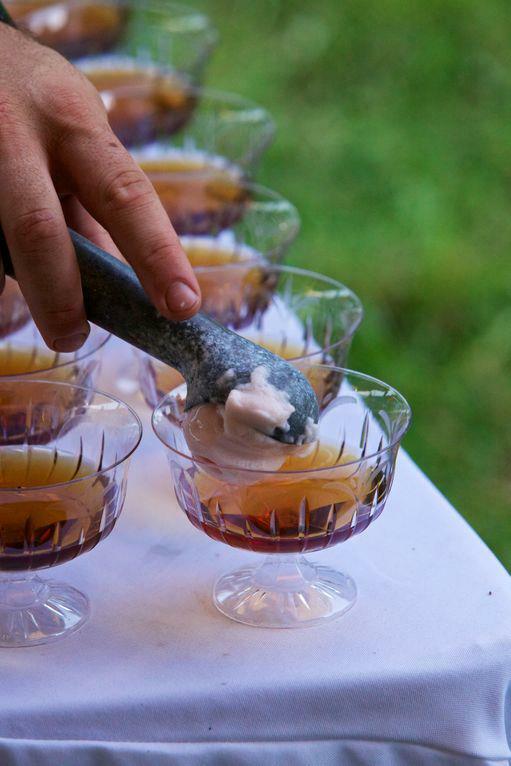 Last month, I had the opportunity to attend my first Farm-to-Table Event which was held by the Heritage Conservancy. These events, which are taking place literally all over the world (I even saw them advertised in Patagonia, Argentina! 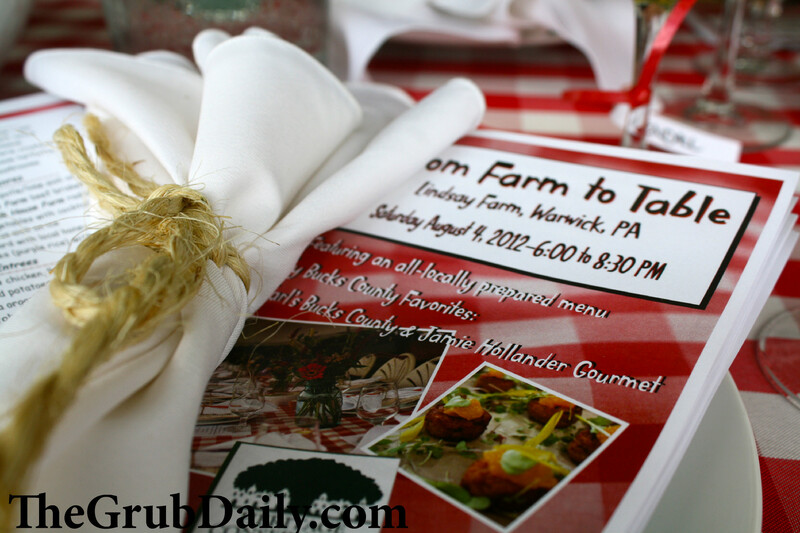 ), are dinners that take place out on a piece of farmland and showcase the finest local ingredients, prepared by the areas top chefs! It can be quite expensive to attend, but I was fortunate enough to snag a seat as “Press” because of my blog (….it might have also helped that Jules was an auction donor, thanks, John!). The stationary appetizers, which were artfully displayed on a large round table amid fresh cut flowers, included: an assortment of pickled, smoked, cured, and fried vegetables with a basil emulsion and citrus aioli. 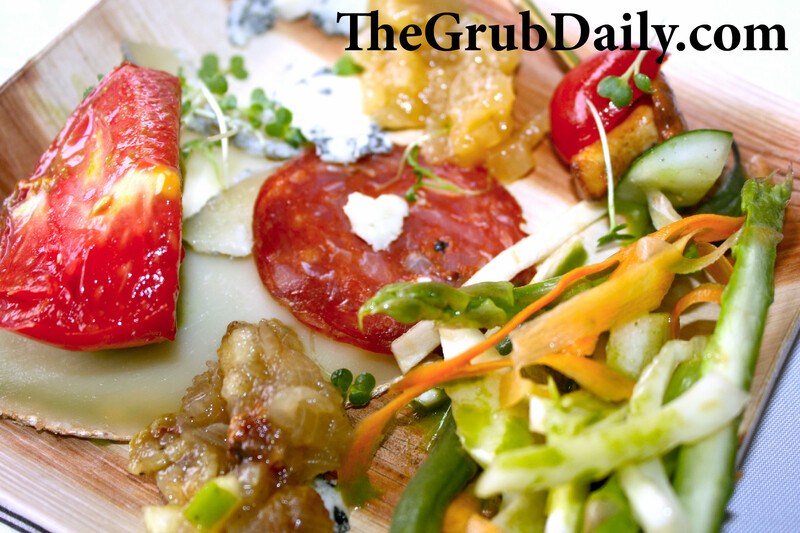 A cheese & charcuterie board featuring locally produced honey and spiced apple chutney. The pate was the best I have had to date, and the blue cheese was also a stand out item on the plate! Also, the Cherry Tomatoes stuffed with Goat Cheese & Dill from Flint Hill farms were incredible. 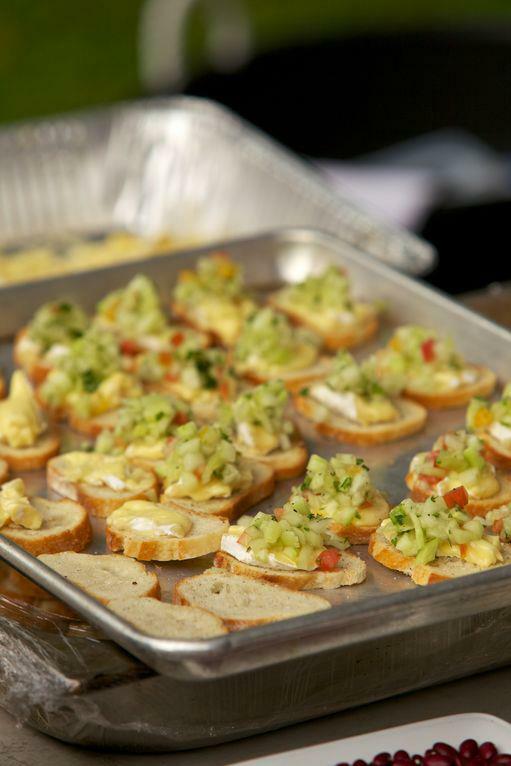 There were Cucumber and Mint Brushettas on Brie Croustade. 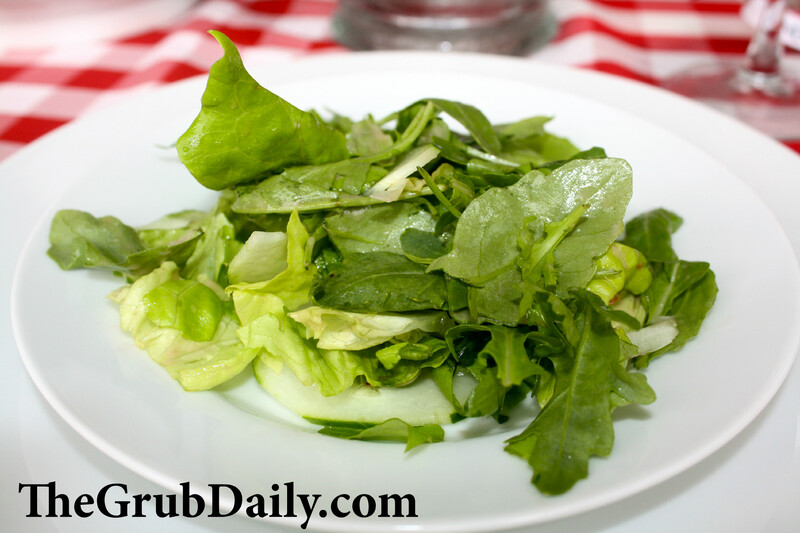 Fresh Salad with a Wine Berry Vinaigrette featuring organic greens from Blue Moon Acres Farms. Grilled Chicken from Bolton Farms with a provencal sous vide, which was hands down my favorite buffet item! Then there were 3 different types of Sausages from Shaffer Farms featuring locally foraged garlic mustard and nettles. 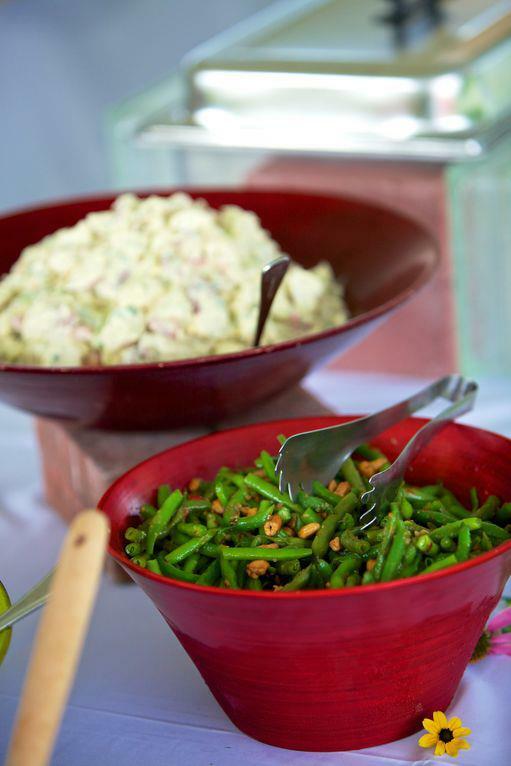 Side dishes included Grilled Potatoes from Snipes Farm and String Bean & Cashew Salad prepared by chef Jamie Hollander. Dessert was very light, as it ought to be after a buffet-style dinner! It was a very lightly sweetened Iced Tea from Cynthia’s Iced Tea with Peach Sorbet made byOwowcow Creamery, using fresh Peaches fromManoff Farms.